How can i activate my CBT Code ? 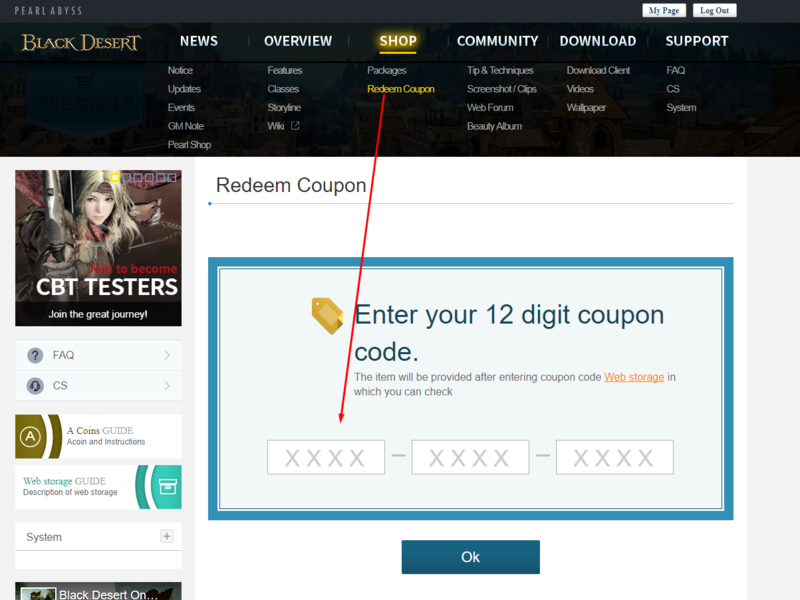 You can activate your CBT Key at the website by selecting "Shop - Redeem Code" section. How can i attend to CBT ? If you already bought Black Desert Online you dont need to apply for CBT. You can attend to CBT on 8th November. For the users that wants to attend to CBT but didnt buy the pack yet you need to fill the form for CBT. Is the Black Desert Online Pay2Play ? Yes, Black Desert Online is a Pay to Play game. To play you need to buy one of our packages. But we dont ask for monthly payments to continue to play Black Desert Online. How do I change the launcher language? Please follow these steps to change the launcher language settings. 1. Start the launcher and click on the “setting” icon on the upper right corner. 2. 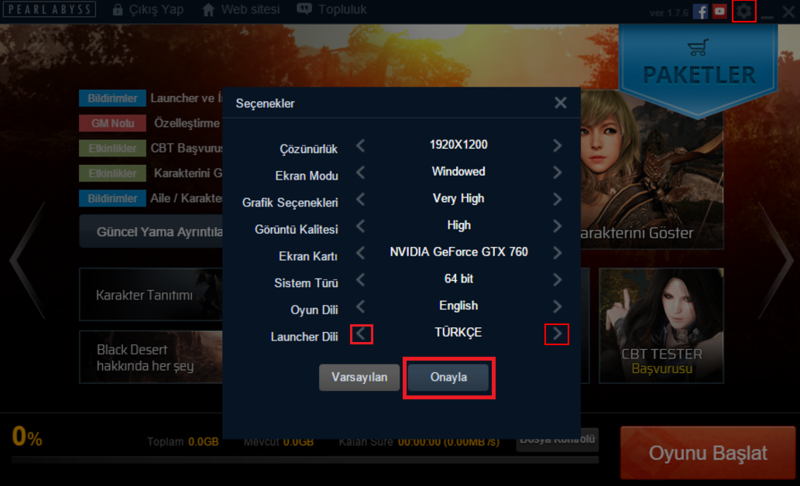 Use the arrow on the bottom of the setting menu, to change the language to English and confirm the change.